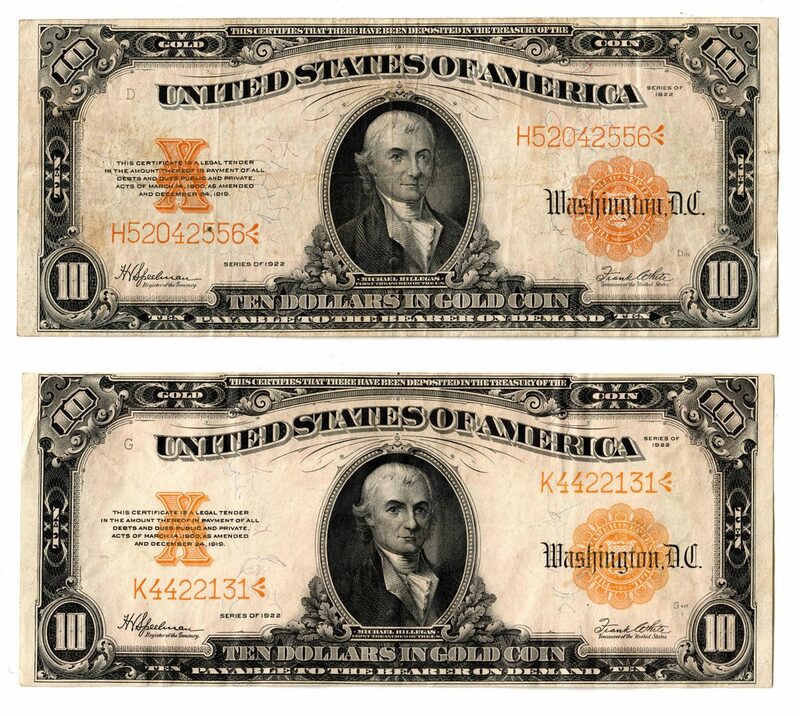 Two (2) 1922 US $10 Gold Seal gold certificates, depicting the portrait of Michael Hillegas, the first Treasurer of the United States. Serial # K4422131/ pp G and H52042556/ pp D. Both FR # 1173. Both with Speelman/White signatures. Provenance: the collection of the late James A. Newman (Nashville, TN, 1892-1964). CONDITION: 1st-2nd items: Very Fine/Extremely Fine condition.